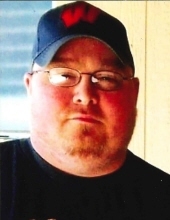 David Charles LaPointe, age 35, of Altoona, WI passed away unexpectedly while on a family vacation in Colorado August 21, 2018. David was born to Charlene Eady and David LaPointe, Jr. on November 22, 1982 in Eau Claire, WI. He was a manager at Hardee’s for 9 years. He liked to hunt and fish, and his favorite thing was to spend time with family and friends. David is preceded in death by his paternal grandparents David LaPointe, Sr. and Betty Dutter and his maternal grandparents Charles and Marie Eady. He was also preceded in death by his aunt Brenda, cousin Jesse and his uncle Jeff. He is survived by his mother Charlene Eady; father David LaPointe Jr.; sister Crystal (Scott) Houland of CO; sister Amanda (Chris) Rodriguez of AZ; niece McKenna Hoyt; nephews Tyler LaPointe, Cameron and Jeremyah Hoyt, Karson and Kaleb Rodiguez; uncles John LaPointe, Rick (Brenda) LaPointe, Shane Eady, and Drew Eady; and aunts Denise Brovold and Diane Eady. He is also survived by other family and friends. A celebration of David’s life will be held from 4-7 pm on Friday, September 21, 2018 at Stokes, Prock & Mundt Funeral Chapel, 535 S. Hillcrest Pkwy, Altoona. "Email Address" would like to share the life celebration of David Charles LaPointe. Click on the "link" to go to share a favorite memory or leave a condolence message for the family.